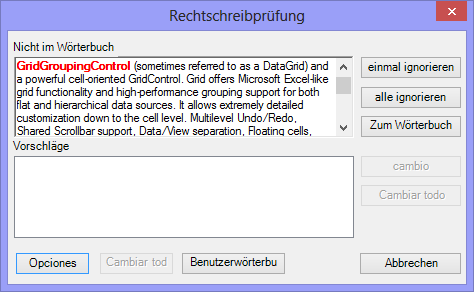 How to localize the SpellChecker dialog box in SpellChecker? You can localize the SpellChecker dialog box text by using ILocalizationprovider interface. The following code example demonstrates the same. 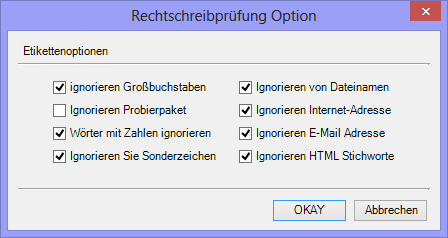 The following screenshot illustrates the SpellChecker window. The following screenshot illustrates the option window.